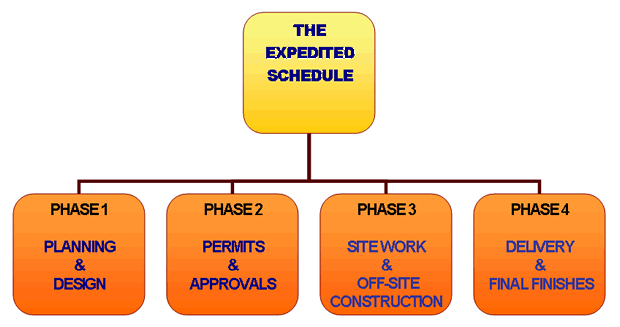 Schedule is a key factor in any modular construction project. Clearly, The Expedited Construction Schedule provided with every Promise Buildings project is better. Schools, Medical Facilities, Businesses, Retail Stores, Labs and more benefit here. You save money on storage fees, construction management, site supervision, labor, financing fees, temporary office space rental and lease fees. Better yet, opening business 30 or more days earlier generating new revenue compounds the savings! The final outcome is a completed building ahead of time without the extra costs. Contact us and we will get started on your Expedited Construction Schedule!